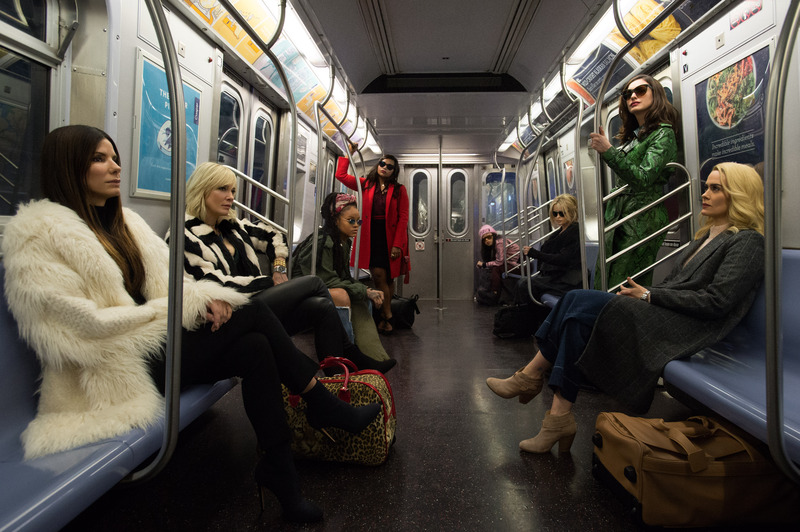 Though it’s still more than a year away from release, Ocean’s Eleven spin-off Ocean’s 8 now has a first image out in the Internet ether. The film, helmed by Hunger Games and Seabiscuit director Gary Ross, features an all-female cast led by Sandra Bullock as career thief Debbie Ocean who attempts to pull off a heist at the Met Gala in New York City. Supporting her effort in the caper are Lou (Cate Blanchett), Nine Ball (Rihanna), Amita (Mindy Kaling), Constance (Awkwafina), Rose (Helena Bonham Carter), Daphne Kluger (Anne Hathaway) and Tammy (Sarah Paulson). There’s no trailer for the flick yet, so for now, you can wonder what they’re doing on that subway. World’s most inefficient getaway? Maybe. We’re sure the above image won’t engender any controversy like Ghostbusters did. The internet can certainly handle a film with an all-female cast. 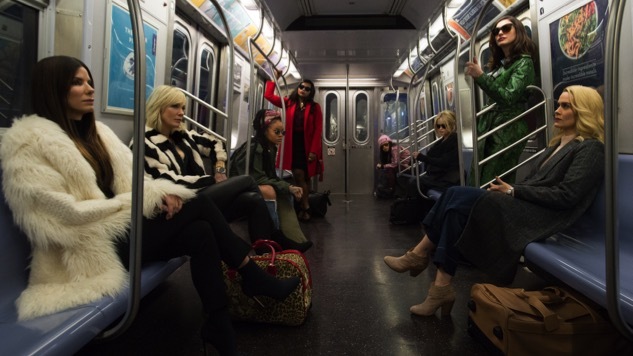 Check out the uncropped first-look Ocean’s 8 photo below—click to enlarge. The film is out on June 8, 2018.